How to minimize commercialization and corrupt practices in Indian education? But how serious is the new government? We are all these months, some 16-17 months, been hearing about some other priorities in education. Right or wrong? 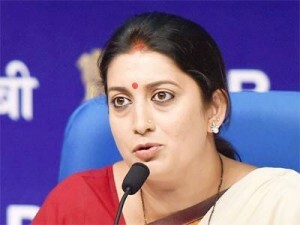 We heard that Sanskrit will replace German language in Kendriya Vidyalayas. We heard that the CBSE schools should not teach any foreign language. And we keep hearing saffronisation of education from all sorts of experts. We don’t want to use any impolite language to describe the priorities in education under the Modi government. What is the action so far? Where are our Universities in International Rankings? We hope that Ms. Smriti Irani, the minister, must have read the latest news that the international ranking of universities doesn’t find any Indian universities in its first 200 world universities, right? What is the response from the minister? Any serious minister would have reacted, as this directly concerns her ministry. No word so far. Not even from her advisers and others. What sort of intellectual environment we are having? What sort of open debates we are nurturing? So, this latest news reported about inviting the global faculty, is not seen in the mainstream newspapers so far. Some 200 of them, drawn from the world’s reputed universities, names are all given out and we don’t know how far this invitation is really serious enough to draw the top international faculty. Only those who are unaware of the academic world know well that the really top tier faculty, the ones where we see Nobel Laureates and the FRS and other medalists won’t be tempted to take time off and come for teaching in India with the sort of fees given out in the news item. The rates quoted are not so tempting enough to draw top talent. And even in the USA and UK now, the university faculty consists many Indian names, some really good ones but most of them not so great. So we have to be wary of the news. We like to draw the honorable minister’s attention to really draw up a systematic academic plan and a strategy to invite some top names in select subjects. Also for sciences and arts to take up a regular faculty appointment for say one year or three years or to complete a degree course in top subject areas. There has to be a priority. And also, please note here, the best way, in our opinion, is to entrust this task to eminent names in India. Invite for instance, Bharat Ratna C.N.R.Rao for deciding the names. Names like C.N.R.Rao and even others, like say Prof. Jagdish Bhagwati, the eminent economist who is also close to the Prime Minister to do the job for the social sciences. Let us start somewhere. Unless top international faculty takes Indian academic work seriously you will be nowhere in this game of one-up efforts. Of course, India’s name is not taken seriously when it comes to academic excellence. Even the existing universities, including the central universities, are not doing their jobs well. So, this really requires a small panel of advisers for the ministry. And, please take this education reform seriously. The new government is talking things in education at cross purposes. So many are talking about education reform. We have to take an international outlook when it comes to excellence in education. Adhere to the norms set by the international ranking agencies. That is the first step. We welcome otherwise even this small beginning, if it is really serious. Education has become highly commercialized and also highly corrupt. So many corrupt practices have crept in. So, this is a Herculean task. We only wish that the minister has an open mind. 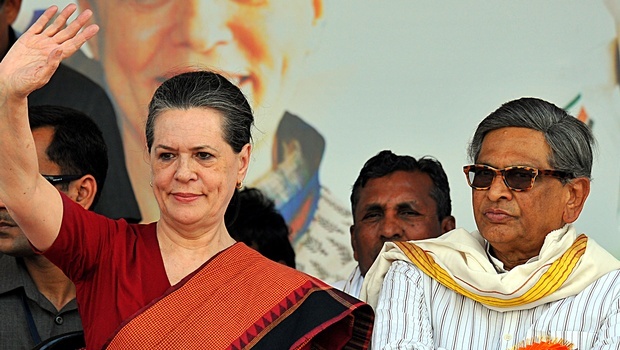 S.M.Krishna seeks audience with Sonia Gandhi? Congress affairs: what is there to talk in secret? Congress crisis needs to be debated openly and in great transparency! Congress government in Karnataka is not in the best of performing states! See the issues that are causing concern to the general public. First, Karnataka is one of the few states in the country under the Congress rule. Karnataka is also supposed to be an advanced state. The IT industry have given the state an international standing. There are other positive features. Now, there is the latest news about the visit of Rahul Gandhi, the Vice-President of the party, to pay his condolences to the suicide-committed farmers’ families. Yes, this visit gave him a positive image and yet his visit left some ugly moments inside of the party. One, about 15 ministers, many seniors, didn’t attend Rahul’s padayatra or his interactions. Second, the ones who sat with Rahul on the stage, they were all faction leaders, if we can say so. S.M.Krishna, the much respected senior leader was there and he is considered close to Sonia and also a sort of confidant. There are various factions in the Congress. One is the lobby led by Dr.P.Parameshwara who has his own grievances; he wants to join the cabinet and also ambitions to be appointed as the Dalit CM. The absent Ministers might have their own stories to tell. Now, very soon after Rahul’s visit Mr.S.M.Krishna is reported to have spoken to Ahmed Patel, the man behind Sonia in political matters and SMK has sought an appointment to appraise her of the inside affairs of the party and the government. Now, our point here is that the Congress party, so severely defeated in the 1014 Lok Sabha elections and there is a strong pro-BJP faction also in the Congress party and government. Whatever the exact truth, we is like to point out that Mr.Krishna must be seen playing a statesman role, he must say even here in Karnataka itself what he wanted to say to Sonia in a secretive manner. Congress party in every state, from BIG states like TN to W.Bengal to even Punjab, Haryana, not to speak of UP and Bihar, are in deep crisis. The Party is not managed from the AICC in a healthy, open and transparent manner. The seniors now around Sonia, the one who were all ministers occupying big bungalows are not willing to go back to their respective states and work among the people and built the party. To give one example wherever the new PCC chiefs are selected by Rahul are facing non-co-operations from the seniors in the states. This is only nature. Rahul’s experience makes him so unsuited to grow the party in a natural way. In TN for example, Sonia had almost destroyed the party fully. First, the party needs a restatement of its ideology comprehensively.The party seniors must not think only in paying obeisance to the present leadership. Indian polity is changed. It is now open to new ideas and new ideological formulations. Dynasty won’t work now. Please let the senior Congress leader realise and let us all talk openly and exchange notes. Rahul Gandhi, if he is still interested in party leadership, let him work under some senior leaders for some time. Let him earn his rewards in an honest and open manner. Please don’t help to contribute to further disintegration of the party structure. Now, in an ironical way, she had brought in one film actress who was all these years close to M.Karunanidhi. Also one former DMK, ADIMK, and also former BJP minister, as a general secretary of the Congress! It is plain common sense that how one state where giants like Kamaraj and Rajaji had come from can expect the Congress loyalists of many years of standing can come closer to the party led by defectors and known inside enemies of the party. Also, Sonia Gandhi herself, in our opinion, had lost touch with the ground level realities. She is still in secret pack with DMK whose standing is very weak and so it would somehow make the Congress weaker by aligning with the Congress. The point is what senior and highly educated leaders like SMK can do is to speak out openly, in a very positive manner what the Congress party reforms must be like. Only in such open and transparent exchanges of views can help the Congress party, not just in Karnataka and TN but also in other states. The point is that SMK needn’t seek private audiences and there is not much to talk with Sonia in this sphere. The only way forward for the Congress party and the government in Karnataka is to identify the issues of development, priorities, such as Bangalore city development is itself a very big challenge. Let us get guidance from senior Congress leaders, many of whom (wherever we have interacted) are hesitant to speak out. This fear and hesitancy has no rational grounds. The more the senior Congress leaders take a hero-worshipping of Sonia Rahul duo, the future is beak for the party only. Dynasty has to be tackled if we want the Congress party to emerge as an all-India party and organisation. Maximum governance and minimum government! One Year of Modi government! Yes, there are some serious letups too! We are a mature democracy, right? What does that mean? We have to be balanced, open-minded and also objective. On these criteria there are some great moments in Modi’s one year and also serious drawbacks when it comes to applying these criteria. By any account we can’t deny Modi’s one year in power that has stirred India! 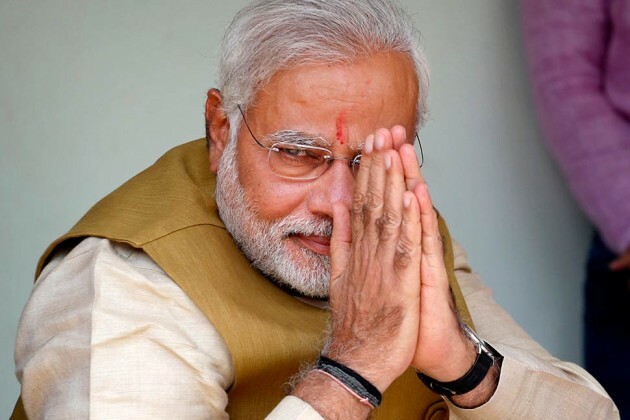 Stirred on all round, be it a change of government, an election victory that brought about an absolute majority to the BJP, after nearly three decades of political instability and much discomfort by the series of coalition governments. How can anyone say this is not a significant change and this is not owing to Mr.Modi’s remarkable political strategy and vision? Yes, let us be generous; let us give the devil the due. But for his strategy he could not have even shaken up the BJP itself. Yes, the seniors were sidelined and there was and let us imagine there is still certain unsettled feelings within the party. But then politics is all about power, capturing power and in this case it capturing power through Constitutional and legitimate routes. Mr.Modi played his cards well and for what he achieved, seen from the larger and long-term point of view it is a great historic achievement. Second comes what everyone again would conceded that he has lifted India to the world stage. This he had again done it with some panache and pardonable drama. Here again we have to concede what the man is capable of. Given his modest background there is something we can pardon him for certain excesses and even let us say some artificiality. In the US and Australia we went overboard and made a huge show of his Indianness. The migrant India community was pleased to reciprocate.That is all? The point s that after a long time an Indian Prime Minister, perhaps after Pandit Jawaharlal Nehru an Indian Prime Minister was seen on a world stage. Now, Modi is back from his refreshed China and South Korean visit. This again is no ordinary visit. China looms large on the world stage and also on the Indian minds. China has to be cultivated, tamed and also dealt with on a variety of topics and thus what Mr.Modi had done in China, what he had spoken he spoke like a honest leader, he spoke for the first time what is weighing on Indian minds, the troublesome border disputes and let us admit that our friendly neighbour, China is also known for its historic inscrutability! It is not easy fully master the Chinese ways. The Chinese are extremely sensitive people; they thought historically, that they are the centre of the world. That is the meaning of the word, the middle kingdom. So, you can’t get away from these historic prejudices and predictions. So, this is again a great achievement. Now, inside India? Yes, there are problems, expectations running ahead of the actual ground level activities. Yet, there is immense confidence inside India. There are huge credits, loans or grants from Japan, now from China and South Korea and there are the unique engineering skills from these Asian countries, in big infrastructural industries, be it road building, tunnelling or rail lines or even the airports and what have you, laying down big cities. Now, Modi government is talking about smart cities, a bi secretariat complex in Delhi and the industrial corridors, the bullet trains and the rest of the big projects like the urban metros. There are some really competent and experienced ministers in the Modi Cabinet. Mr.Gadkari speaks about Rs 3 lakh crore of road projects in 6 months. We feel we can believe a man like Mr.Gadkari. So too other ministers, power and other rail and defence ministers, why the many others are all equally promising. First one has to think big. This Mr.Modi has done. Yes, with all our optimism for this government there are certain concerns. Concerns over some perceptions and subtle practices. There are the judicial independence, free freedoms and also delivering on the services the citizens waiting for. Appointments of high level officials, Chief Information Commissioner, Lokpal, Lok Ayukta and the very many others. Certainly, Mr.Modi is going to hit a roadblock in his attempt to control the higher judiciary. We advise him to change his mind set. NGOs, civil society and the elite and the intellectual classes need to be addressed to. Mr.Modi, if we can say so, can’t ride roughshod! India is a developed democracy in many ways. There are many pending issues like addressing to the Constitutional reforms, Parliamentary reforms, why even the electoral reforms. There is somewhere some sort of mental block for Mr.Modi to fully grasp the nuances of a liberal, open society, the fine sensitivities of a mature society. Rights and freedoms are certainly a precious asset. Mr.Modi better consults, meets a wide variety of public opinion. A Prime Minister in a democracy like India’s must be above any sort of narrow mindset, no prejudices, all open mind, right? Farmers’s issues becoming more distressing everyday! 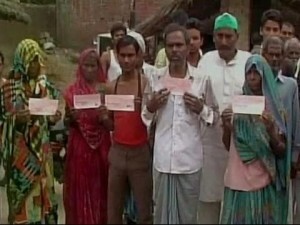 Prompt payment of farmers’ compensation should be monitored by the PMO! Reports of farmer’s suicides coming almost everyday and the nonseasonal rains is not the only reason. There is a grim reality of the continuing trail of farmer’s suicides. Over 3,000 farmers have taken their lives in the last three years alone. Over three lakh farmers died this way over the last few years, from 1995 onwards. Of course, the epicentre of this distress is Maharashtra followed by AP, Karnataka, MP and Kerala.UP is now in the spot with the UP government cheques for compensation bouncing in many districts! You cant have a better irony and reflection on the state of affairs existing in the states and also a reflection on the administration at the Centre. The budget and the funds dispersal comes from Delhi and the PMO is supposed to be watching things with an eagle eye. The large number of farmers’s suicides has been taking place in Maharashtra for a long time. And comes next the UP state. In UP, tragically enough it is from Amethi, Rahul Gandhi’s parliamentary constituency that is in the news as we write. And that too comes on the day when we saw on the TV screen the tragedy that hit the Rajasthan farmer, Gajendra Singh who on the day the AAP leader Mr.Arvind Kejriwal conducted a farmers rally and this farmers with the symbol of the AAP party, the broom in his hand got on to the top of a tree near the Jantar Mantar rally venue and he fell and committed suicide in bizarre circumstances. The whole of India would have watched the scenes of this tragedy as it was taking place and no one; none of the cops present went to the rescue of saving the life of the farmers. What then followed was more sickening.The leaders, from rahul Gandhi to Sitaram Yechury to Arvind Kejriwal went to the Ram Mamohar Lohia hospital and pay their respects.It all looked wholly disgusting, the channels called their appearances as the photo opportunities.It was. The channels also played at the same time the poor farmer who committed suicide in Amethi and the deadman’s desolate wife cried and spoke on the TV screen asking in particular the Amethi MP!Of course it is another matter why no one from the Congress party,even the Amethi constituency representative even didn’t go and visit the orphaned family. Of course, the Opposition candidate, namely Smiriti Irani, the HRD Minister in the Modi government who was earlier seen visiting her constituency, this time was missing. It all becomes a clearly constructed story for the media display. The Amethis MP who has no time and he was away abroad for 57 days is another thing.Even after he came back or after coming to know of the tragedy he didn’t choose to visit his constituency and yet he found ti very easy and convenient that he could rush to the RM hospital in the capital and stand by the dead victim of the tragedy and he was seen along with other leaders to show himself in a more acceptable manner. The TV channels also announced and gave the viewers the number of farmers suicides in UP, besides in other states like Haryana, Rajashtan and Telengana and other states. What such news reporting amounts to? It wins some sympathy for the bereaved families and that is all? Or, does such continuing tragedies lead the governments in the states and the Centre to make decisive action and release of funds? We dont know for sure what the response of the governments are. Neither we hear the high profile ministers, be it the agriculture minister or the ICAR experts or the Prime Minister who must be keeping a tab on the happenings on the farm front? There is a distinctive feeling that the Modi government reacts only to the barbs from Rahul Gandhi or Sonia Gandhi. It is also a reflection that how politics is reduced to some slagging matches of a flurry of words and phrases. Nothing more concrete. It would be nice for the farmers to hear some solid statistics as to how much funds are released and how much compensation is paid to the victims of the farm tragedy. It is seen that in many cases of compensation payments there is still bureaucratic wrangling and the money doesn’t reach the farmers immediately. This much at least the PM or the PMO in particular should be monitoring the compensation distribution. Of course, the land acquisition bill hangs fire in parliament and it is widely seen as getting further bogged down in the wake of the Delhi suicide by a young farmer. The political parties are really behaving in a very cynical way with the Congress young leader on a pilgrimage to Kedarnath, Mr.Kejriwal with his wayward ways and the others, the less said the better! Politics has become a bloody battle with no one has any time or idea as to what the future holds for the poor,the poor farmers of this country. Let us listen to the farmers! Then frame a realistic agriculture policy! Who in the Modi government care for agriculture sector? The Modi government, as Arun Jaitley tells (in his NDTV interview) is a pro-business-friendly government. In telling about the need for government to acquire more lands, for some priority needs like industrial parks, infrastructure, housing and he listed five priorities, is sought through a new bill. For which he seeks the Congress party support in Parliament. Is the Modi government a Centre-Right party? The finance minister seems to say so. In that case, there is the farmer who are now owners and who have to part with their land under the government terms, might not agree to the business lobby terms. Is there not a farmers lobby in India? The farmers ‘points of view have to sought and must be spelt out in the public by the government. There are very many steeper issues involved in seeking vast acres of land for government priorities. Justice must be done to farmers’, poor farmers’ interests. The new government in Delhi has taken many new initiatives in various sectors. In industrial development there is visible new awareness and new assertive steps. The Prime Minister justifiably has given top priority to revive growth. This means in one sentence industrial growth and the emphasis on make in India is a manufacturing industry revival only. 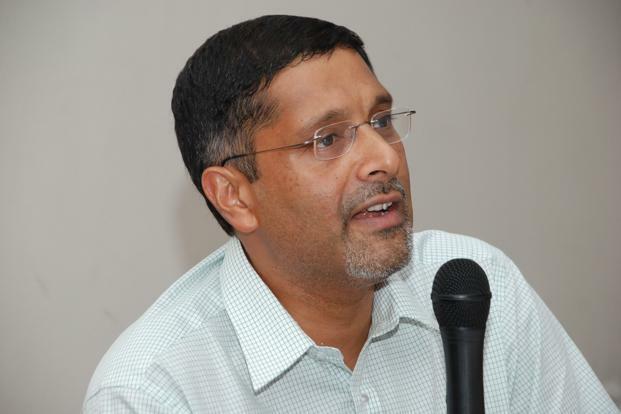 But there are, as the Chief Economic Adviser, Arvind Subramanian pointed out that many of the existing regulations must be eased. The new theme is how to make the “ease of doing business index” to be India’s new boldness to demolish the many obstacles and as Mr.Modi has observed, make the starting of the company, the registration process to be done in one day! There are shortages of resources, coal, electricity and other constraints. The PM is single-mindedly doing all these things. Now, there is the biggest industry in India. What is it? It is just agriculture! Anybody in the government is talking about agriculture? We don’t know. We have asked for an appointment with the new Union agriculture minister. So that we can raise some basic questions that affect the prospects of agriculture. Agriculture is not only the biggest industry. It is also the biggest employer still. The majority of the people also live in the villages and are dependent upon the agriculture sector for their livelihood, for their very space. Where are the new concrete houses for the villagers, the village poor and the others living in the villages, various castes, and weaker sections etc that are deeply affected by what the government does for the rest of the sectors. There is a new emphasis, why, even mart talk about “smart cities”. Yes, cities growth is now becoming more important, cities are growing fast. Every major investment, why, major changes in the Indian economy is in the cities, also dependent upon the city environment. Fine. Then we need a master plan. A sort of a future roadmap for the urban growth. It is because we are concentrating, we mean the government, the corporate sector, the middle classes and other factors push for concentration on urban affairs, neglect of the rural India. Please let us note that Indian agriculture suffers great neglect. The new finance minister Mr.Arun Jaitley talked about the farmers whose interest he would protect. Even as he says so he is only talking about the land acquisition laws and the compensation for the farmers. No, this is only one side of the land question. Now, you had reformed the labour laws and also other restrictions on investments in various sectors, you have let down the farmers with the antiquated land laws like ceiling laws, tenancy laws and other laws that had made the average farmers, owning less than one acre per capita. The future of agriculture depends heavily upon new investments in agriculture. New investments would come in agriculture only if you make agriculture sector profitable. Now debt and suicide deaths are the character of the agriculture sector. No one has said about these issues. The PM in his campaign speeches in Vidarbha pointed out how the region was neglected by the UPA government and also the NCP-Congress combine. 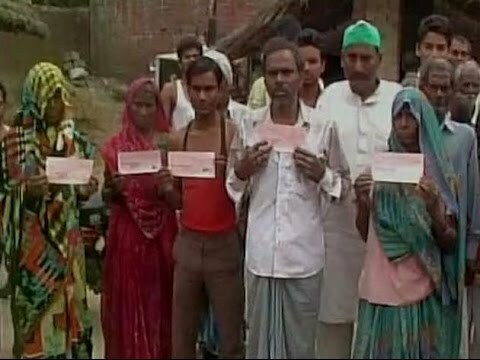 The PM promised he would stop the farmers’ suicides if he was voted to power in the state. The voters did please Mr.Modi by giving him such a clear verdict. Now, we ask Mr.Modi: Please do something fundamental that could make Indian agriculture a strong productive, sustainable sector. Towards this end we suggest these following radical measures: Please relax the land laws, relax the ceiling act, relax the tenancy terms so that new investors, new generation young farmers, new entrepreneurial-minded investors would come forward to invest in new agricultural technologies, new seeds, new biotech-based agriculture and also new high-value, high-tech farming could be brought to India. See agriculture in Japan for instance. So too in other advanced countries. In Netherlands and Belgium. This magazine in its 25th years had published a great deal of new information in agriculture. Our agriculture portal, www.agricutureinformtation.com, is perhaps the world’s largest agricultural portal. By the way, agriculture is always talked about, by the ICAR and government bodies, as a science-driven activity. We say there is the sociology of agriculture. So many stake-holders are engaged in agriculture. Besides the universities and agri depts, there are a chain of others, from agriculture owners to agri labour and also other village traditional professions who are always dependent upon big households for their traditional professions to survive. This side of the agriculture is totally ignored and even blacked out. Let us recognise the farmers who live in the villages are the real heroes. Let us reach them, listen to them, their suggestions for how to revive lives in rural areas.